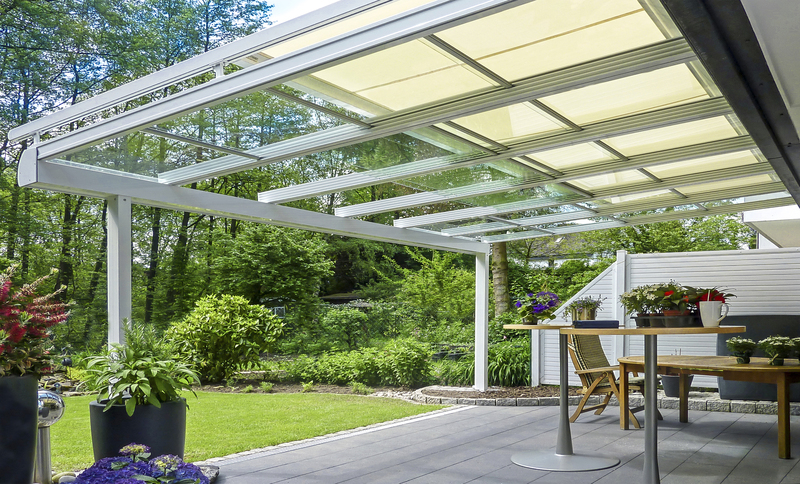 Our motor-driven sliding roof Vitello-Flex Plus allows you to enjoy the fresh air via push button. 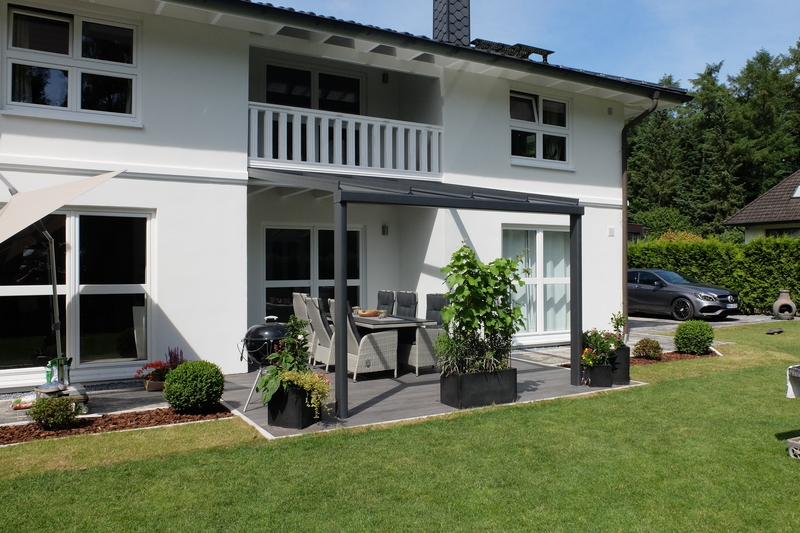 The further development of our reliable Vitello-Flex provides you additional advantages in relation to comfort and facility on your terrace. Of course, this model also convince in terms of design and customizable optic. 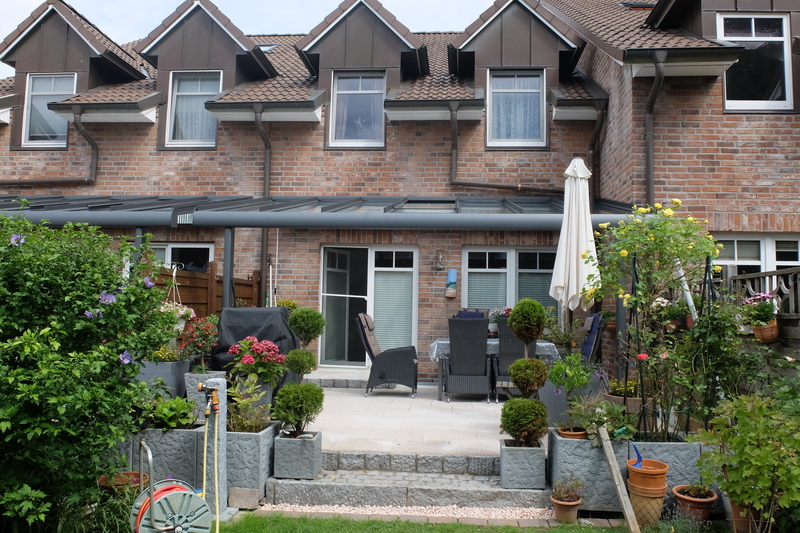 Choose between diverse styles of roof and colours. 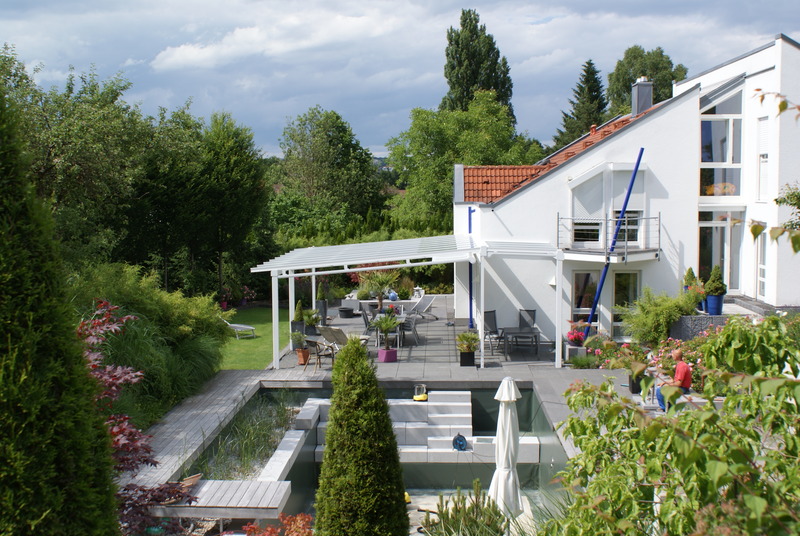 Your dream roof will be perfectly adapted to the overall picture of your property and will set a delicious highlight. 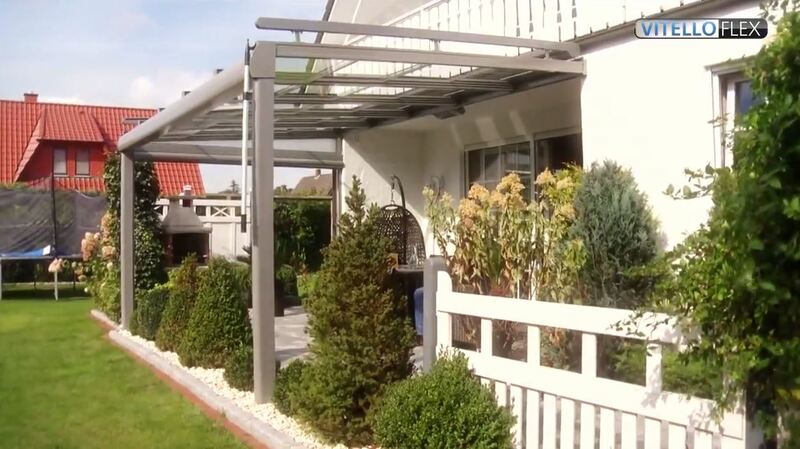 Our motor-driven version of the unique and state-of-the art sliding roof can easily be opened via push button. You have the option to control the engines via a switch inside or a remote control. 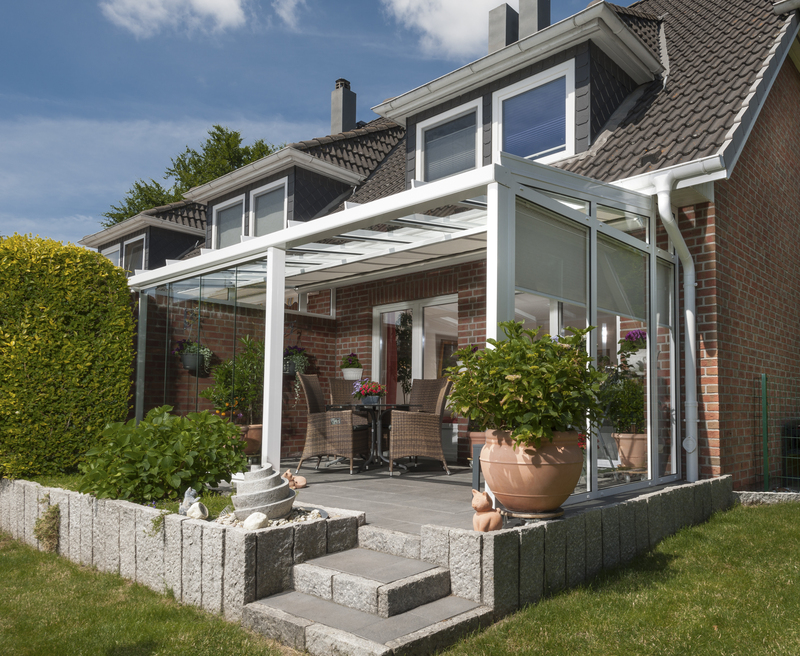 But that is not all: If you settle in under your Vitello-Flex-Plus glass roof, you also have the possibility to pull your Smartphone out of your trouser pocket to change the position of the single glass panes. You can regulate the glass panes independently of each other. 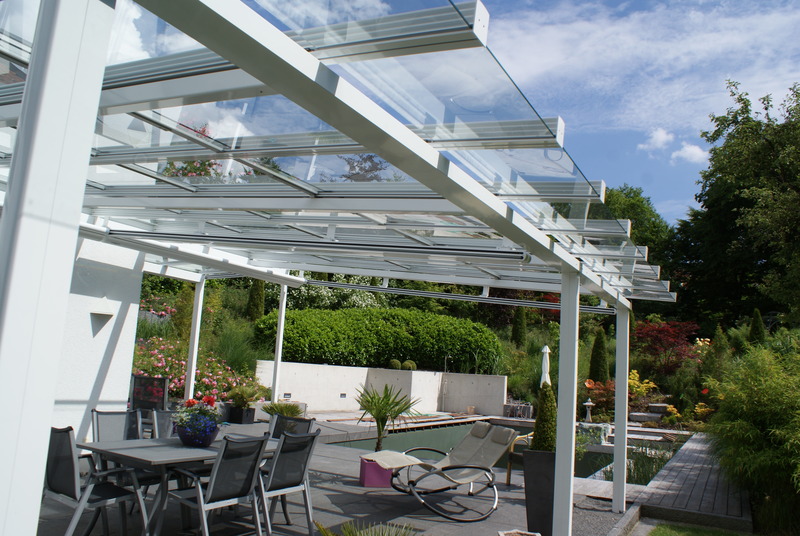 Two glass sections are controlled by an almost noiseless motor. React quickly to changing weather conditions and adjust your terrace roof in this simple way. This ne plus ultra of versatility allows you to regulate the circulation of air without much effort. As the market leader, we focus on quality and intelligent in-house development. 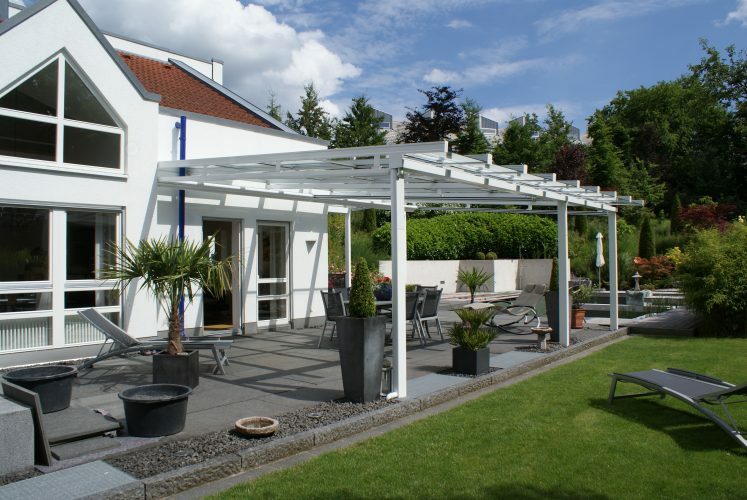 We are sure that you will spend happy and carefree hours with your family under our glass sliding roof. Fit your Vitello-Flex with rain sensors and you don’t need to be worried about sudden rain showers. 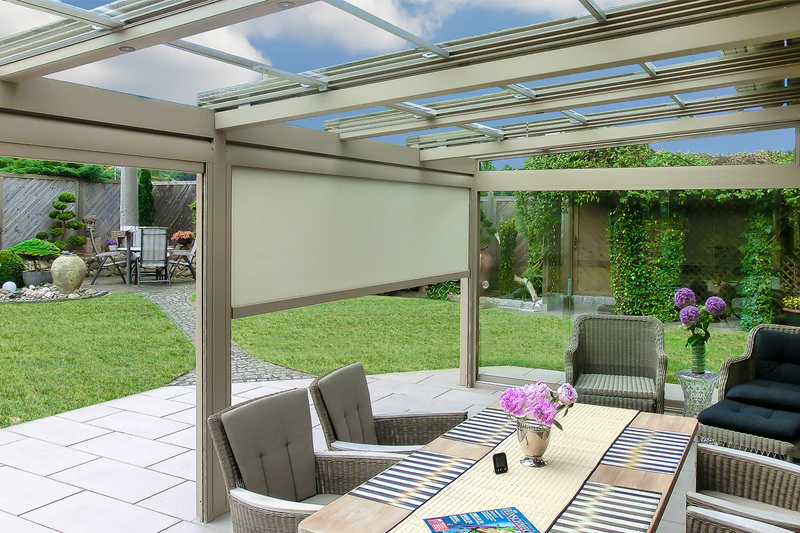 Feel the limitless freedom by using our maintenance-free canopy independent of the weather conditions. Mit seitlichen Glasschiebeelementen zu einem Sommergarten kombiniert, können Sie dies sogar an 365 Tagen im Jahr erleben. Contact us or one of you specialized partner and your living dream will become reality. Invisible and patented sealing systems! The high-quality engine technology ensures an almost noiseless handling and an unsurpassable quality. Manual and motor driven glass section can be combined with each other. One motor controls two glass sections. The motors and connections are skillfully hidden. The result is a delicate appearance. 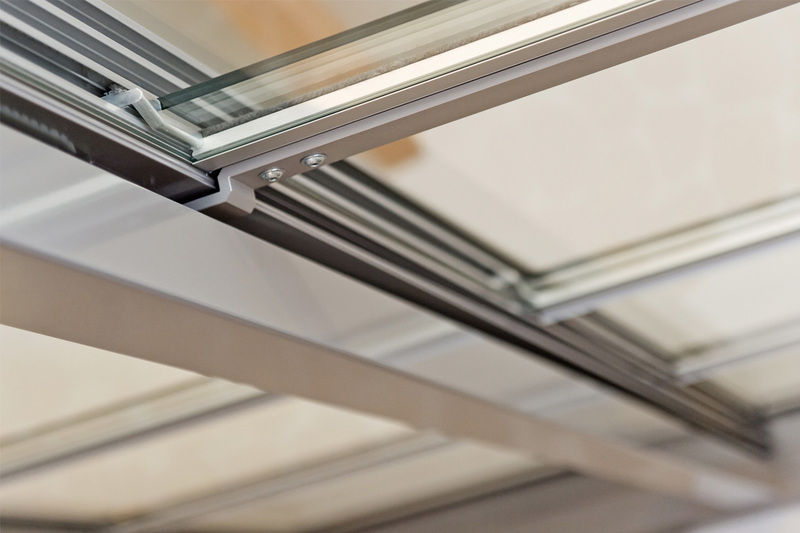 The individual controlling of the glass sections offers you a maximum of flexibility. 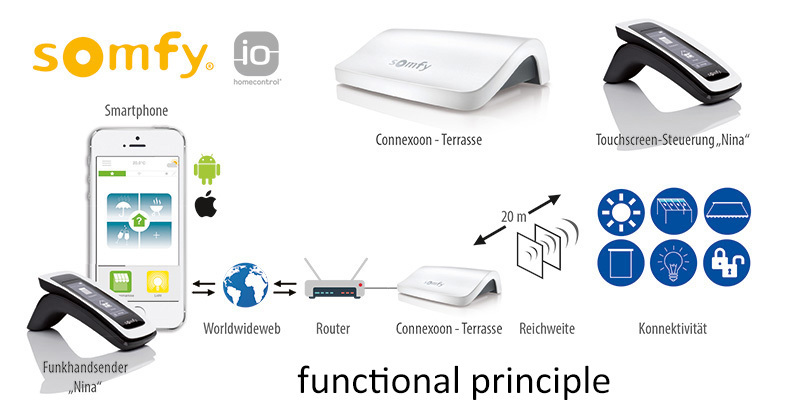 Comfortable operation: You can choose between a wall switch, a wireless handheld transmitter, a smartphone or a tablet. 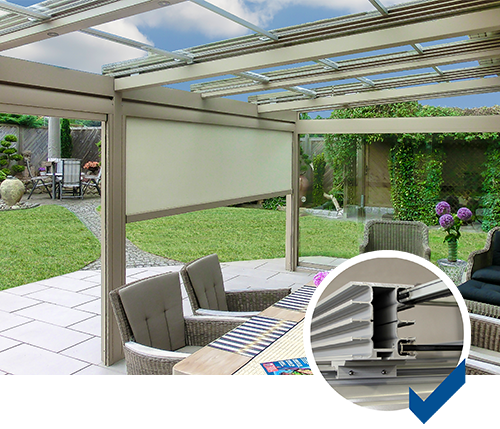 Our Vitello-Flex-Plus enables you to react quickly to changing weather conditions. 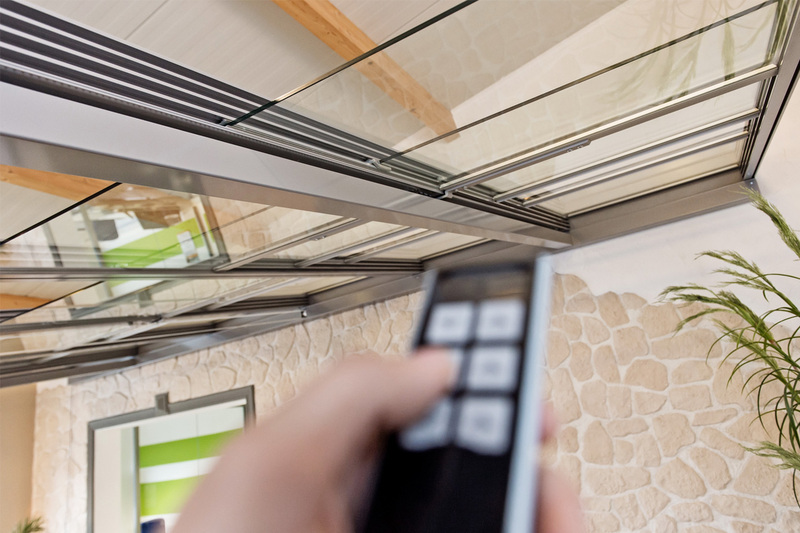 Convince yourself of the state-of-art technology and watch our product video to get a first impression of our motorized glass sliding roof. Many of our dealers have a model of our Vitello-Flex Plus in their showroom.